I participated the Service Experience Camp 2015 during 12 – 14 November in Berlin. On the preceeding day of the actual Camp event, I walked the optional 2,5 hours trail in Berlin Mitte with other Experience Camp participants. We got introduced to 4 particular retail spaces. 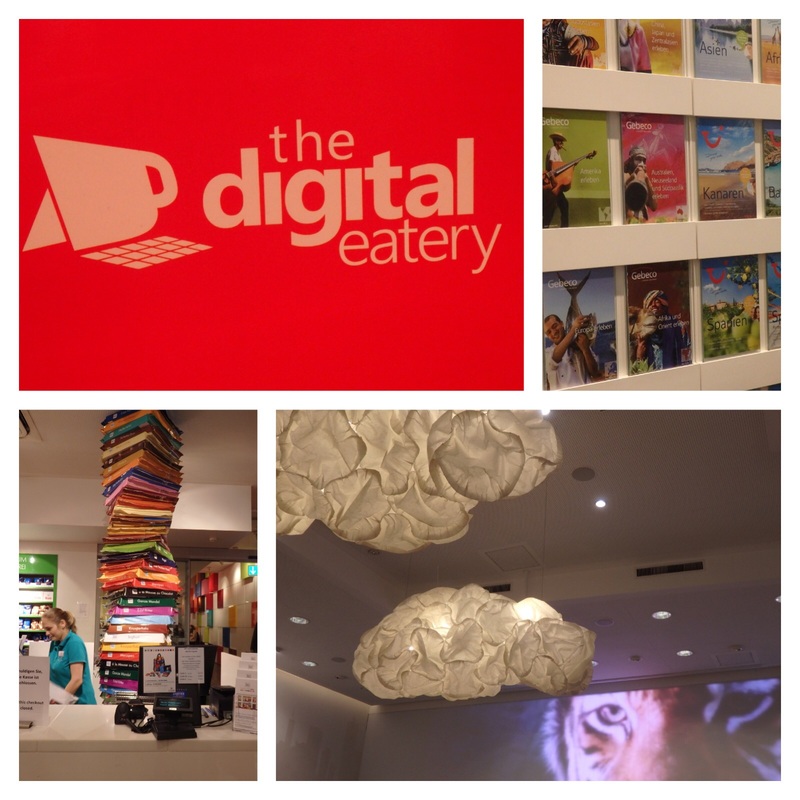 We started with the Microsoft Digital Eatery, a combination of a café and a showroom. One could try out latest Microsoft hardware and software while sipping a latte or eating a delicious sandwich. There was also an XBOX play corner with sofas and large screens. The Microsoft personnel on the spot can help out with problems or further direct clients to maintenance services and they arrange workshops on their new products and services. Next stop was the travel agency TUI’s branch which together with 500 other branches owned by Tui group have adopted a concept of a more personal and comfortable travel booking. The branch had a nice open space consisting of a lounge area, a bar, a library area to browse books on travel destinations and the personnel counters that were visible throughout the space. The personnel uses ipads when discussing with the customers of their travel desires on the lounge area. The purpose is to offer the right service in a short time and in comfortable settings. Important part of the concept is to contact the customer after the trip to discuss whether they were satisfied and to get feedback on improvements. In Ritter Sport we had a tour of the store starting with the entrance where one could order a tailor made chocolate bar to be taken with when exiting the store. Downstairs Ritter would have facilities for organizing chocolate workshops for kids, a concept that has been so popular they started giving workshops to adults, too. 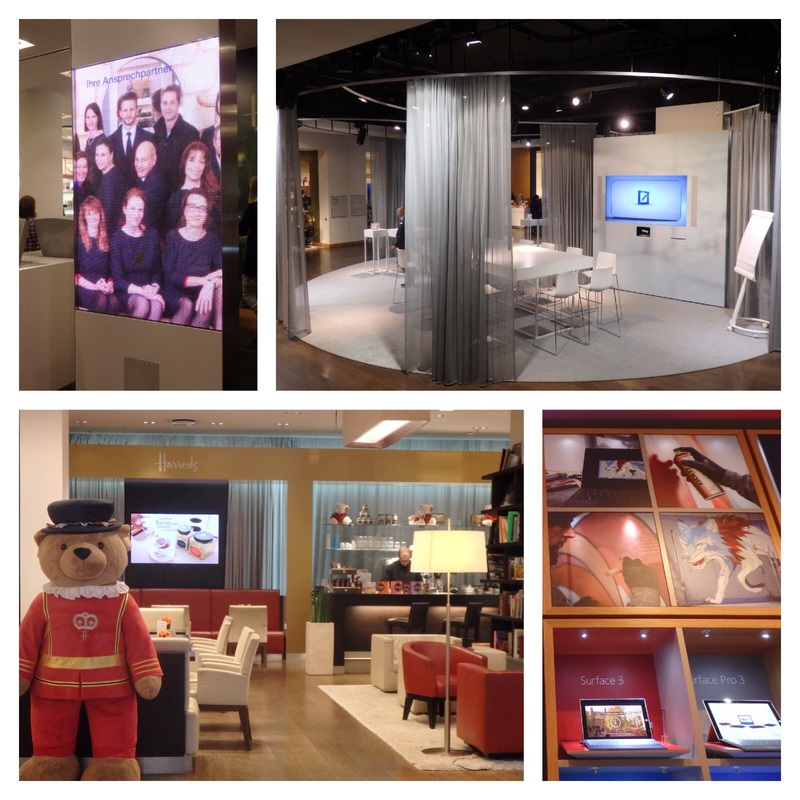 Last stop was to Deutsche Bank’s 101 concept store in the luxus brands’ street in Berlin’s Mitte – a mix of retail banking services, exposition space for partners, concierge service, a café and a customer lab. Deutche Bank has had this concept since the financial crisis of 2008. They wanted to rebuild trust with retail customers and bring something surprising adding more value to the customer visiting the branch. Currently the partner co-using the space is Harrod’s, selling christmas inspirated goodies and products. 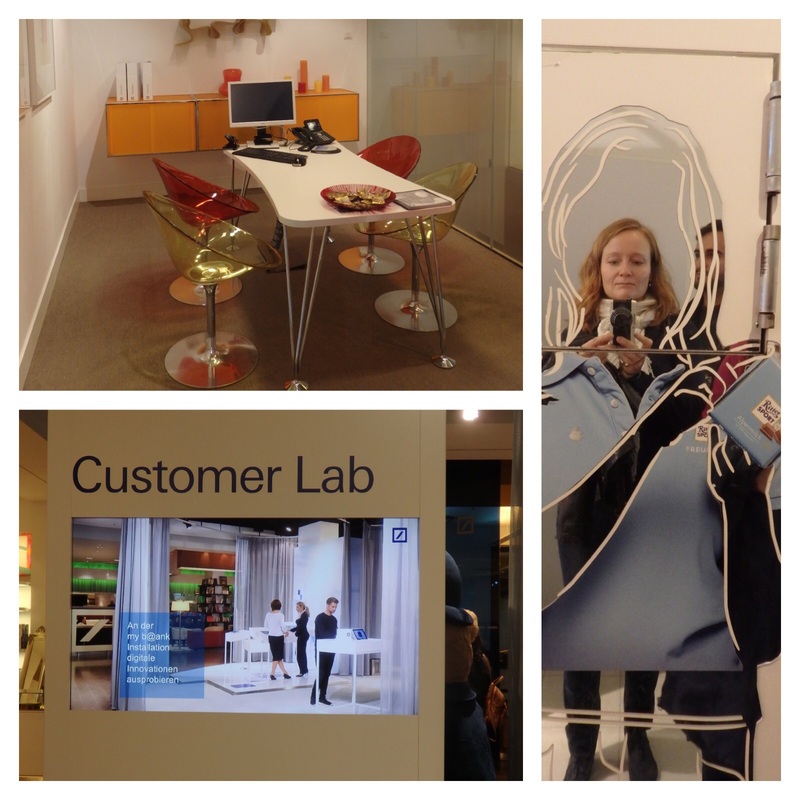 In the middle of the space there is a lounge area called customer lab, being used to introduce online services to customers and to workshop on service development with customers. On one side of the space the ATM’s are lined up and they use a specific identification method of veins’ recognition to those who have adopted this method of identification. On the same side with ATMs there are bank counters which are very minimalistic, all the banking affairs are done standing with the bank personnel. On the back of the space there is a cozy café with childrens’ play area and spaces for informal meetings with customers. There are also three differently decorated negociation rooms, targeted to young customers, families and young entrepreneurs. And finally a concierge service that can help out for example in customers’ travel or gift arrangements or even give advice to tourists! Quite a versatile concept and a very thorough tour that we received.